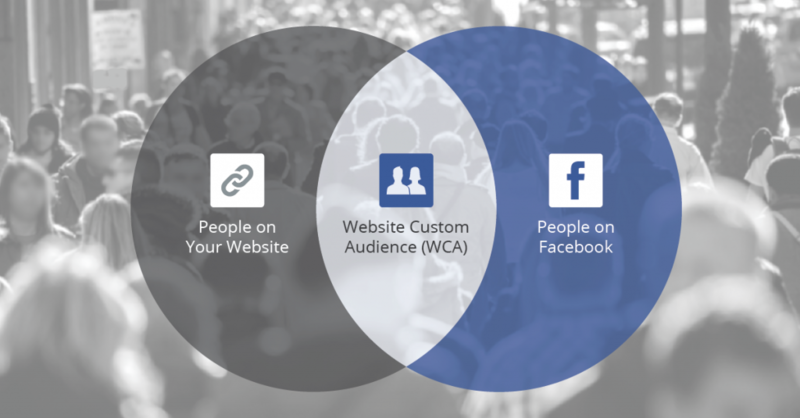 Facebook Custom Audiences and What They Mean For You! For the past few years now Facebook ads have become extremely useful for business to generate leads, sales, promote blog posts and build their brand online. The reason being is that Facebook ads give you the ability to be hyper targeted. For instance, let’s say you are a wedding photographer, your target market is couples that are engaged and looking to get married either in the UK or nationwide. Prior to Facebook ads you would have attended several wedding fayres which can cost £500 upwards for a stand, local radio ads (not cheap) or dropped flyers in wedding dress shops. The issue with this is the ability to track what was doing what was very hard and the ability to be really targeted was very hard also. Your other option would have been to use Google ads, but this could have been just as costly as a wedding fayre. Facebook give users the ability to now create ads to appear on peoples Facebook profiles that are relevant to them. So know the wedding photographer could target males and females, between the ages of 25-35, that are engaged and live a 20 miles radios. Perfect! However what Facebook custom audiences do it take it to the next level! Ok so let’s say you have been building up a nice email database for a number of years and you have around 5,000 email contacts that you email every month. Well now you can upload that email list into your Facebook ads campaign, Facebook will see if those email addresses are assigned to a Facebook account and if they are they will show your ad to those profiles as well. Talk about efficiency! The great thing about this is that if your email list had become immune to your emails or if they simply didn’t read them you can now market to them when they’re on Facebook, there’s no additional charge only the cost for each time they click on you ad, just like Google’s Adwords platform. Keeping with the theme of Google’s Adwords, Facebook have again upped the ante and introduced website custom audiences. The way this works is Facebook provides you with a little bit of code to place into your websites homepage (just like Google analytics), this then tracks the ip address of the visitors to your site. Once a visitor lands on your site and then decides to leave and visit Facebook, Facebook will show that person your Facebook ad on their profile, its essential a copy of Google’s re-marketing campaign. This is fantastic for keeping your brand continually in the mind of your websites visitors and giving them another opportunity to either purchase your product or service or even get a reduced rate. We have seen this used extremely well by online jewelers and clothing brands to help give their visitors a little nudge to make a purchase. If you would like any help with your Facebook marketing or online marketing in general please feel free to get I touch for a free online marketing review.